The holiday season will fast be upon us, which for most families means get-togethers, reunions, and good old-fashioned holiday cheer. But what happens if you’re taking care of mom or dad or another aging relative and there’s no one to provide care so that you can get away? This happens to so many families. OptimumCare Home Care Services provides respite services so that you do have a chance to visit with friends and family over the upcoming holiday season. We know and understand that you care about and are concerned about the quality of care for your loved ones, and want to give them the best, but it’s also important to take time for yourself. Don’t feel guilty about feeling backed into a corner or “trapped” with a caregiving situation. It happens more often than you’d think. We get used to providing care for our aging or disabled loved ones, and are more than happy to do it, but there are times when you need a break. Those breaks are necessary in order for you to back away from stress, recharge your batteries, and enjoy life. Only by giving yourself a break once in awhile can you continue to offer quality, patient and compassionate care to a loved one. 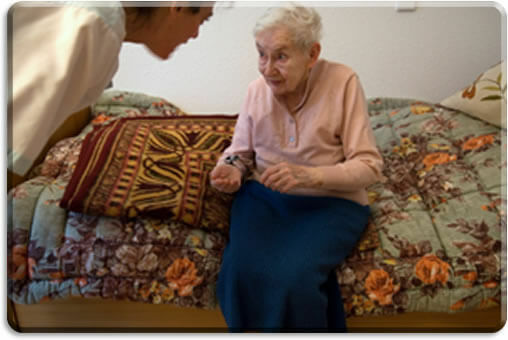 OptimumCare Home Care Services provides solutions based on your needs. Whether you want to take a day off, a weekend, or a week or more to visit friends, travel, or simply stay home to cook those holiday feasts, go shopping, or relax, we’re here for you. Don’t feel guilty about asking for help. We’re here to offer the support you need whether that comes once a week, once every few months, or once a year around the holiday season. We’ll make sure that mom or dad gets adequate nutrition, enjoys companionship, and has help with activities of daily living. We’re more than happy to provide transportation services so that your loved ones can get out and enjoy some of the holiday spirit themselves. Our professional and experienced caregivers are the perfect solution for the holiday season. We provide a variety of options when it comes to respite care so that you can go visit relatives, host a Thanksgiving dinner, or holiday parties and reunions. Feel free to give us a call and ask about the wide range of services we offer. We can come for a few hours anytime during the day or night, and we also offer 24-hour round-the-clock care to ensure that your loved one is safe, comfortable, and secure in their home while you’re gone. Your loved ones deserve the best in high quality care, and you deserve to also enjoy your holidays with the peace of mind that comes with knowing that your loved ones are being carefully watched over, cared for, and supervised. This coming holiday season, take time for yourself. You’ll be amazed at the difference it can make.